Modern vintage would have to be one of my favorite outfits to wear. They speak of comfort yet ease in mixing and matching key pieces and one of the celebrity styles that I like would have to be Mama Kate! Kate Moss definitely is my peg when it comes this kind of street style look. What is effortlessly chic? Vintage looking shirt or dress meets modern silhouette blazer and pants (or vice versa) is what modern vintage is all about. This is another outfit post by my darling daughter Gabbie. At her young age of three, I believe she has developed her own sense of style. Her staples are shirts, leggings, blazers/jackets and dresses. 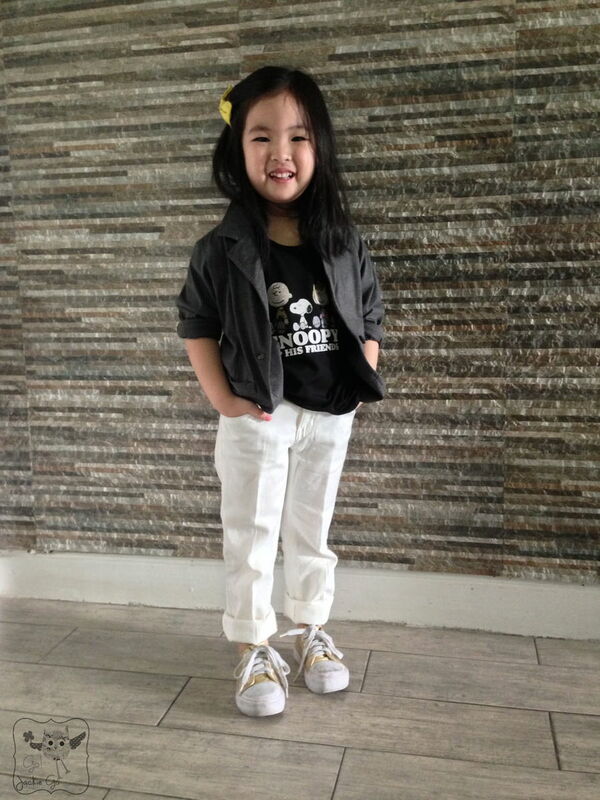 Last week, she showed you how she rocked a Mickey Mouse shirt from SM Kids Fashion. 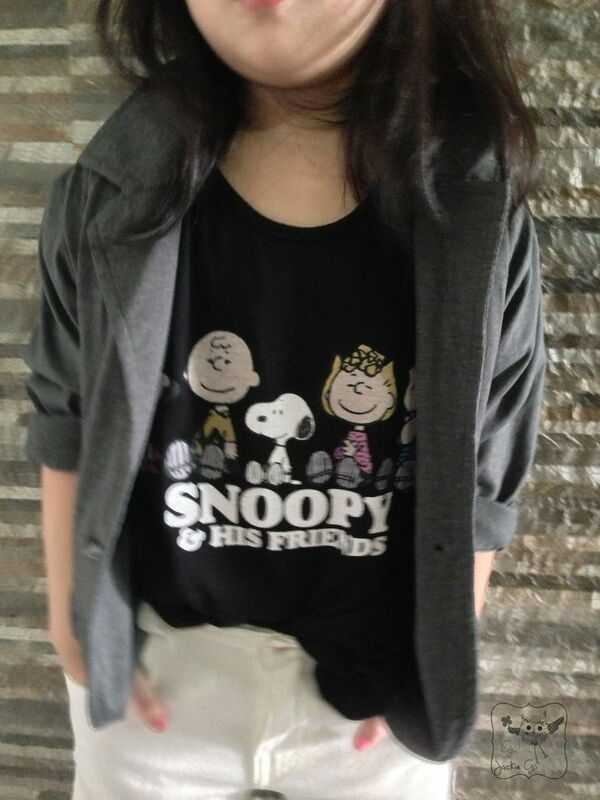 This week, she’ll show you an outfit she really loves wearing which is brought to us by Snoopy. 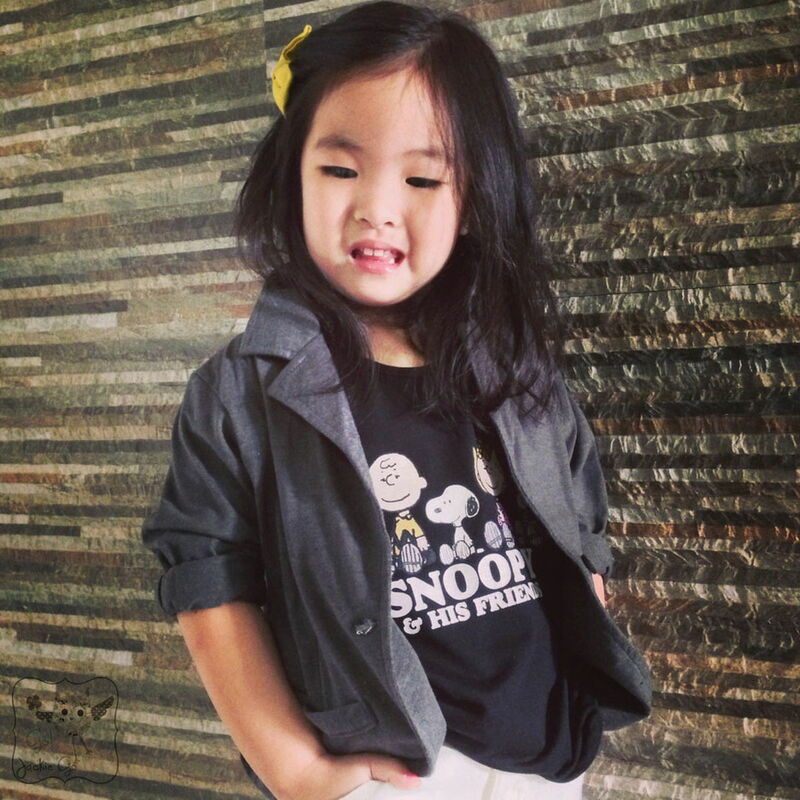 With her love for Snoopy and the gang, her happiness was evident when she saw her new shirt from SM Kids Fashion. So much so that she started playing again all her Snoopy games in her iPad! Heehee. Gabbie was wearing an all-out Snoopy ensemble! Yellow bow tie: Baby Jane. Now time for another giveaway! Simply enter my BLOG GIVEAWAY and my other SM TOON FEST GIVEAWAY first. Then answer the question below. 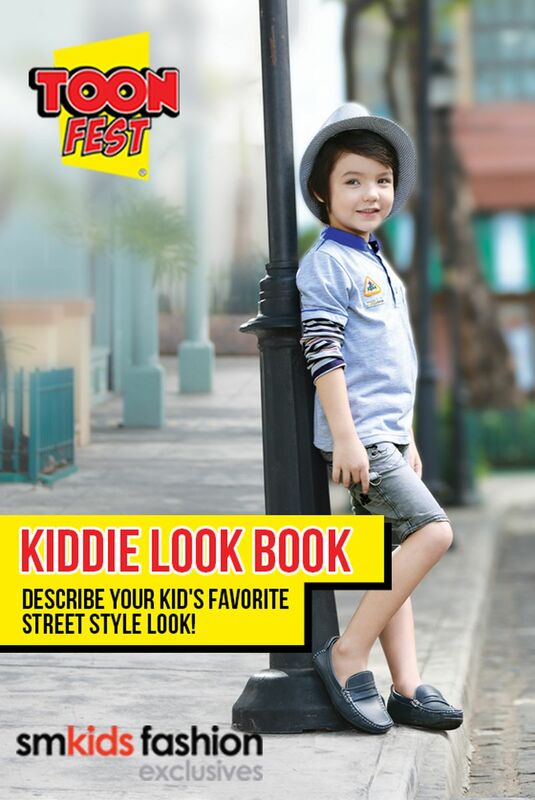 Leave your name and email address, and answer to the question “Describe your kid’s favorite street style look?” via the DISQUS comment box in this post. One winner will be chosen (the one with the best answer to the question) and will win P1,500 worth of gift certificates from SM Kids Fashion and a Toon Fest loot bag. The winner must be willing to attend the Toon Fest event on August 30, 2013 (details to be announced soon) so they can claim their prize. I’ll announce the winners before August 30 as I’ll be running a mini contest every week! My kid’s favorite street style is jeans with long-sleeved button down polo shirt. It’s his default outfit whenever he gets to pick out his own clothes. He likes it so much he never complains of being hot, even if all his playmates are all in shorts and t-shirts. My 17-month old son looks really in his street style look: blue denim jeans, a black or white shirt and rubber shoes. He looks so grown-up! I don’t have kid yet but I’m joining because I want my nephews have a piece of sm kids fashion! My nephew Bjorn Juaquim is 7y/o but knows already how to look fashionable. He’s a cool kid, he always sport on shirt & pants with rubber shoes on, and he can’t forget his big handkerchief, and the funny part is that the handkerchief was just on the outer part of the pant’s pocket, I don’t know if you can figure but he looks cool. Hi Ms. Jackie. I still want to join even if I don’t still have kids yet but instead I will join for my niece. My niece favorite street style look is wearing a hello kitty pants/leggings and a pink blouse and a rubber shoes. She loves it when i take pictures of her #ootd. What was your favorite outfit as a child? – My Favorite Child Outfit is just Simple yet Unique and Presentable look. Like these Street Style Look. My fave street-style fashion for my kids are their comfy rubber shoes, stripe polo shirt and pants for my big boy and one-piece-shorts- and-tube-top dress for my little-big daughter. 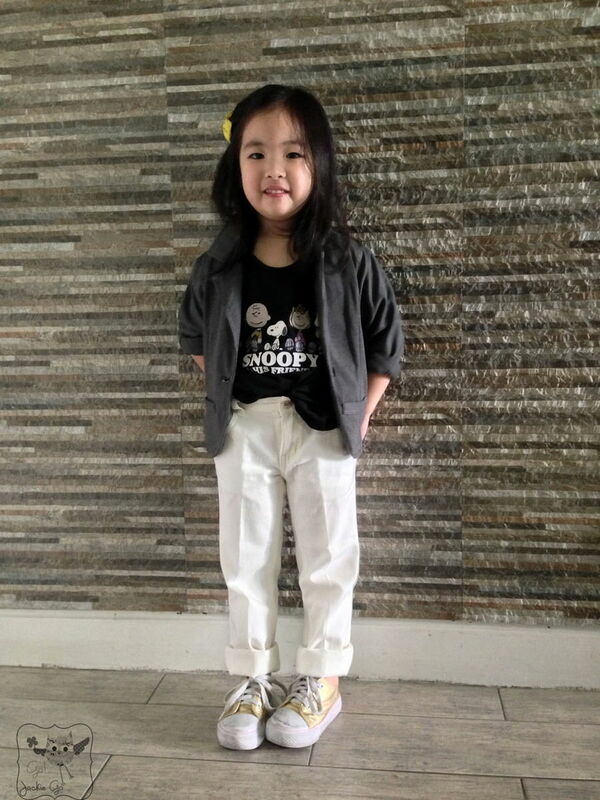 The outfit looks smart plus surely comfortable for their activities at school or during playtime at weekend getaways. Ay, bet ko ang favorite look ng bagets mo! Winner, so Parisian chic!